Empowerment coach for introverted, ambitious, and highly sensitive professional women who no longer want to survive but thrive in our busy world. Who are ready to end the overwhelm and stressed out cycle and have balance in their life. I knew I was different from a young age but discovered that I was an introvert when I was about 23. That changed a lot for me. I was getting my undergraduate degree in accounting, under the illusion this was a good field for me. But the longer I worked in the field, the more drained of energy I became. So, I took another detour and became a Business Analyst where I could teach (another love of mine behind learning) on systems and change management across the United States and in parts of Europe. This too was an attempt to fit into an extroverted role that left me exhausted. All my life, I’d fallen into the good-girl trap of doing what I “should” instead of what I “wanted” and I felt so out of a balance like I was living someone else’s life. I desperately wanted to do something where I could serve more others directly and dive deep into the human psyche. So, quiet rebel that I am, I said goodbye to the corporate world, took a leap of faith, and got my master’s degree in Counseling Psychology. That’s when my life’s path became more congruent and aligned with my calling. My conviction is helping women unfold more into their true selves; to help them step into their own inner strength and share their unique gifts with the world (despite the fear of change or to be seen). I think too often the world puts women down instead of building them up. Feeling undermined and undervalued is a legacy that makes it difficult for a woman—any woman, but especially an introvert—to feel confident in her own sense of self-worth. 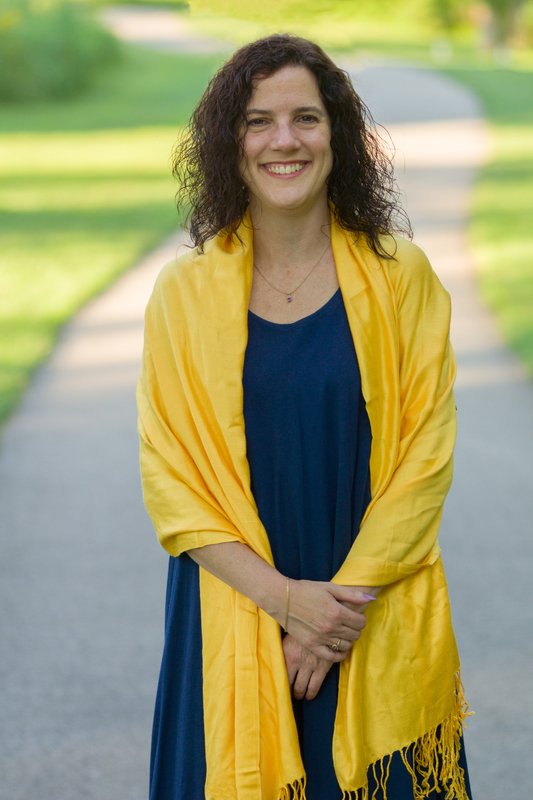 As a licensed psychotherapist, it has been my privilege to help hundreds of women, children, parents and teen girls overcome anxiety, be more connected in their relationships, increase self-awareness, and regain trust in their own inner wisdom. I have helped women ask for raises, get promotions, start their own businesses, break free from limiting beliefs, and be better parents and partners. This experience sets me apart from other empowerment or life coaches without this background or training. Now, I help introverted, high achieving, and/or highly sensitive women—women just like you—be exactly who you are meant to be. Most of my clients are amazingly talented and creative women with a yearning to do something more. You may be a little quieter than your extroverted peers, but certainly someone with impact! My dream is to create a sisterhood, one sister at a time, with women around the world supporting each other in achieving their heartfelt desires and creating more inclusion, so that together we take the lead in our own lives. To support the next generation of leaders to learn from our detours and know it is okay to follow their inner guidance, so everyone can know and see all the beautiful things we have to offer. For the personality geeks among you, I’m a Myers-Briggs Type Indicator INFJ, and The Intrigue on Sally Hogshead’s Fascination Advantage. I think these findings have been good validation. They’ve reinforced my belief that I did the right thing; that a career in coaching is “very me.” And I love helping others find their meaningful pathway, too. Proud introvert, high achiever and HSP who is living her life’s calling! I’ve shared my story here because connectedness is an important value for me. It’s crucial that we get along if we are going to work together. If you’re still here and smiling, then we might just have great chemistry with each other! Your next step is to click on this link to learn more about my mentoring program. When you’re ready to get started, contact me to arrange a free 45-minute consult. I look forward to working with you!